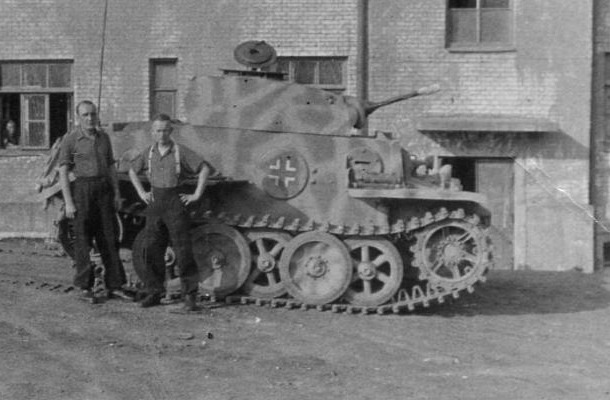 The Panzer II bore many variants over its service life, from the Ausf. A, to the subject of this article, the J. The Panzerkampfwagen II Ausführung J. was a heavy reconnaissance tank, and compared to its bretheren, was far better protected. Being a ‘Heavy Reconnaissance Tank’, the J performed a similar role to a light tank. This panzer was far from light, however, completely disregarding the usual morphology of this type of vehicle. It was slow, heavy and extremely well armored. 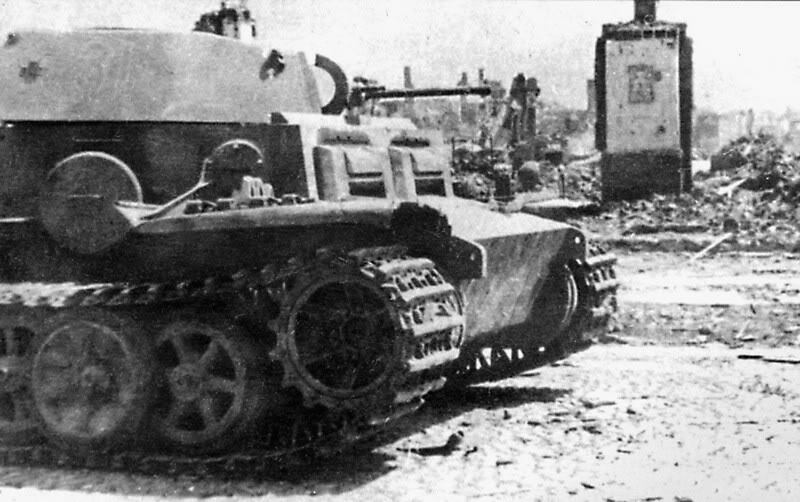 The only similarity the vehicle bore to the other Panzer IIs was its name. It was not, in any way, an offensive weapon. If it got in trouble, the armor would have protected it while it withdrew, and its cannon would have been used to try and suppress the enemy in the meantime. 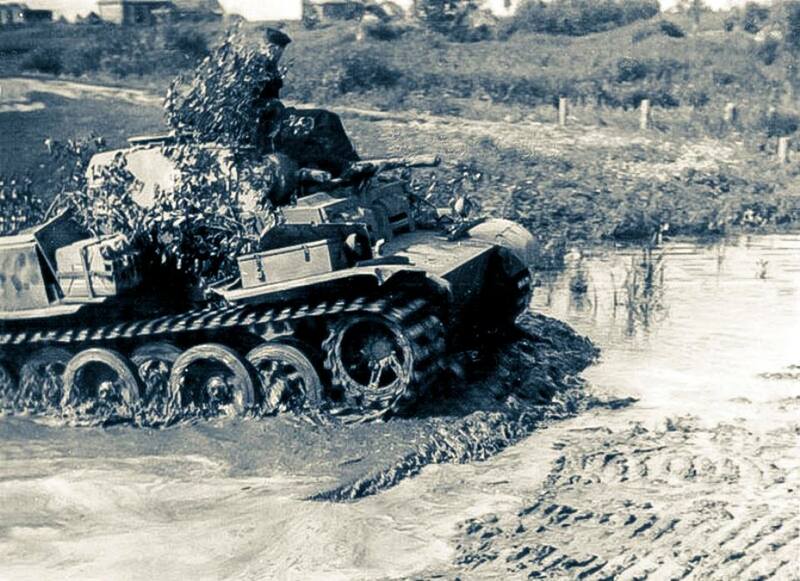 The Panzer II J followed the same path as the heavy variant of the Panzer I, the Ausführung F. The 2 vehicles were very similar. The Panzer I Ausf F had a single vision port for the driver and was armed with 2 MG 34s in a cylindrical turret. Only a small number of the vehicles were produced, however a few did serve at Kursk. The Panzer II J began life as the VK 16.01 (VK: Vollketten – fully tracked, 16: Tracked vehicle weighing 16 tonnes. 01: First prototype) on November 15 1939. The prototype was approved in 1940 and the contract for production was given to MAN. There was some delay after however, and the vehicle didn’t go into production until 1943. Even so, the production run was quite limited. The II J was an extremely tough nut to crack. The vehicle had 80 mm (3.15 in) of frontal armor and 50 mm (1.97 in) on the sides with similar values for the turret as well. This led to German crews, and the Russians that fought it, nicknaming it the “Baby Tiger”. The II J’s teeth were not quite as sharp as the Tiger however, as the tank kept the same Rheinmetall 2 cm KwK auto-cannon that was standard issue for regular Panzer IIs. It also had a coaxial MG 34. The 2 cm (0.79 in) auto-cannon was a considerable improvement over the Panzer I Ausf.F’s dual MGs. The weapon was more than deadly to large groups of infantry and lightly armored vehicles. However, it would really struggle against most tanks of the era. Though as its main role was reconnaissance, this wasn’t too much of an issue. The vehicle had a crew of 3. The driver was placed in the forward left part of the hull, next to which was the radio operator. Each position had a direct vision port in an armored housing, as found on the Tiger. The ports could be fully closed to increase protection, at the cost of vision. There were also vision ports on the flanks of the vehicle. The commander was alone in the turret and operated the 2 cm (0.79 in) cannon. The radio operator would also double as loader if required. The commander was able to ingress and exit the vehicle through a slightly raised cupola. The cupola lacked vision ports, so in order to survey the battlefield, he would have to expose himself. The crew accessed the vehicle via large round hatches in either side of the tank. The tank was powered by a 150 hp Maybach HL45 engine, propelling the vehicle along at a steady 31 km/h (19 mph). All 18 tons of the tank were supported on overlapped road-wheels designed by E.Kniepkamp, a designer best known for his work on half-tracks. Panzer II Ausf. J, unknown unit, Kursk, July 1943. Illustration by Tank Encyclopedia’s own David Bocquelet. The Panzer II Ausf. J was a short-lived variant. The original order of 100 vehicles was canceled on the 1st of July 1942 due to construction efforts being focused on newer Panzer models. As such, only 22 of the vehicles were produced in total. 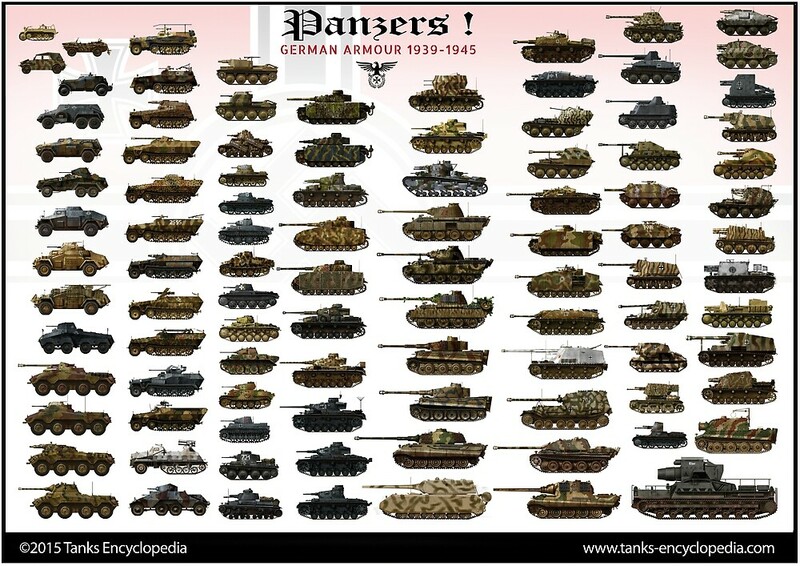 In 1943, seven of the tanks were issued to the 12th Panzer Regiment, operating on the Russian Front. These vehicles saw combat at the battle of Kursk along with its Panzer I F cousin. The Panzer II Ausf.J’s armor would have probably proven to be a quite nasty surprise to the Soviet defenders. However, it is important to note that this armor was only meant to allow the vehicle to get out of sticky situations, and not to actually assault enemy positions. It’s 2 cm (0.79 in) autocannon, while adequate for the reconnaissance role, would have been totally useless against most enemy armored opposition. 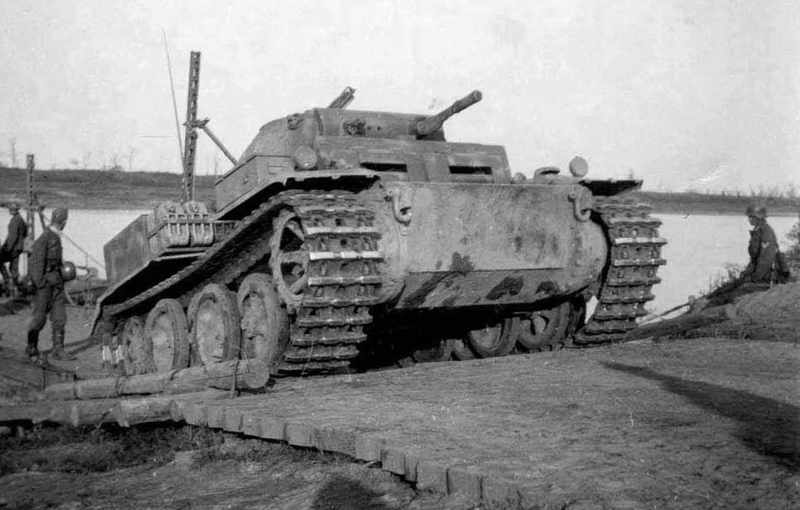 In 1944, a damaged IIJ was converted into a recovery vehicle, this being named the Bergepanzer II Ausf. J. The changes consisted in the removal of the turret and the introduction of a small crane. Later on, in 1944/45, the same vehicle served with Panzer Werkstatt Kompanie (Tank Repair Company) of the 116th Panzer Division. No Panzer II Ausf.Js have survived to this day. One Panzer I F survives however, in the Belgrade Military Museum, Serbia. 2 crew members stand beside their vehicle. The cammo pattern can also be seen. 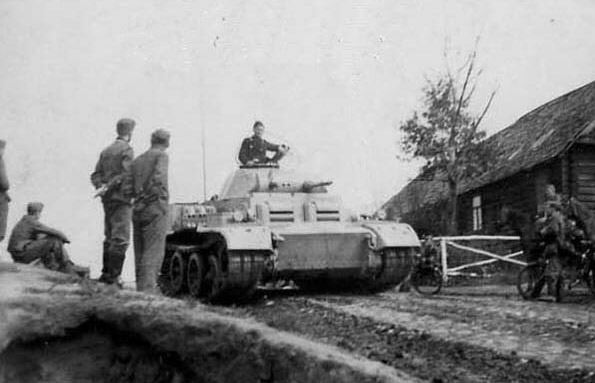 A Panzer 6 Tiger Jr. This looks actually quite cute!